Today appears to be the most anticipated date on the web. Almost every financial site I have visited has people mentioned this date. I guess we will soon find out if Martin Armstrong can retain his legendary status or will just fade into the sunset. Armstrong's harmonic model accepts economic data as input and will therefore produce sequences of economic events as an output. Thus, if someone says he predicted 9/11 or similar, that is simply coincidence as he only works with economic data. Second, his waves are not really triangles but more like sine components - smoother. In either case, what tops and bottoms in the cyclical patterns say is that a certain trend has lost momentum in one direction and will reverse. His dates are the points at which the momentum equals to zero before reversing the other way. Like a ball thrown vertically in the air where at the highest point the ball stops moving, i.e. momentum = zero, and then goes in the opposite direction. The correlations between his cycles and numbers from reality are visible on a bigger time scale usually. It is thus completely possible that nothing happens that we are aware of at this moment but after a while, in retrospect, we can point to this week as a turning point in some particular trend. Of course, it can also be that nothing really happens, even when looked at a distance. Or that Armstrong's modeling is simply wrong and too simplistic. Interestingly, I just read that some markets in Europe did not open on time this morning due to "technical glitches". However, the trading continued at 9:40 and there is nothing worth noting. Gold price could hit $1,500The aggressive monetary policy of central banks around the world is playing havoc with the structure of the bullion market, creating a chronic shortage of gold that may soon push the metal to fresh records above $1,500 an ounce. Charles Gibson, a gold expert at Edison Investment Research, argues in a new report that negative real interest rates (below inflation) in the US and beyond has upset the "leasing" machinery in the gold industry and led to a sustained market squeeze. This is what occurred in the late 1970s, driving gold prices to $850 and ounce – roughly $1,560 in today's terms. Gold finished last week at $870. Mr Gibson said the powerful dynamic could lead to a second leg of this gold bull market, even though the metal has already enjoyed a torrid run over the last eight years. In normal times, gold mining companies sell – or "hedge" – a chunk of their output in advance through bullion banks. These banks cover their positions by leasing gold from central banks. This bread-and-butter trade created excess supply of 500 tonnes each year until the start of this decade. Low real interest rates have caused the process to reverse, creating a shortfall of about 500 tonnes. The process accelerates as rates turn negative, leading to a scramble by market players to find physical gold. There are already reports that gold bars are becoming scarce, partly due to fears that futures contracts and other forms of paper gold may not prove reliable if there is a serious break-down in the global financial system. Pure metal -- whether Krugerrands, Maple Leaf coins, or the "five tael biscuit" favoured by the Chinese – entail no counterparty risk. Mr Gibson says the Fed's monetary blitz will end in another burst of inflation akin to the late 1970s. That is a disputed claim as deflationary forces tighten on the global economy. Some of the big global banks are already calling the start of a bear market. Rarely has the gold fraternity been so schizophrenic. I must say that I did not like the author's writings in the past too much. He is quite useless as he changes positions too quickly and has a difficulty of separating the weed from the corn. He is simply an exponent of the western $ financial industry, whether aware of it or not. But here he is commenting on a writing of someone else and is scarce if original thoughts, which I applaud at with all my heart. Ambrose does seem to have some knowledge of financial markets, but this knowledge is accompanied by a very colored vision. He generally uses his insight in financial markets to argument his predetermined ideas. EU markets approx. minus 4% for the day. US still in AM trading-convincingly down-but that may change. There you go ZeroHedge. Kudos!. You have repeatedly mentioned gold as a store of value. You have also said that the reason to choose gold was it's history as a bearer of value. I would argue that gold is not real wealth. Real wealth would be food, clothes, houses, cars, jewlery, etc. 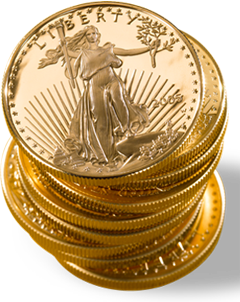 Gold (bulion) has throughout history served as a medium of exchange for that wealth, and could hence perhaps be regarded a "natural currency". I would however argue that it is no more that a currency. What is your idea on that? "Now of those good things which nature hath provided in common, every one had a right (as hath been said) to as much as he could use, and property in all that he could effect with his labour; all that his industry could extend to, to alter from the state nature had put it in, was his. He that gathered a hundred bushels of acorns or apples, had thereby a property in them, they were his goods as soon as gathered. He was only to look, that he used them before they spoiled, else he took more than his share, and robbed others. And indeed it was a foolish thing, as well as dishonest, to hoard up more than he could make use of. If he gave away a part to any body else, so that it perished not uselesly in his possession, these he also made use of. And if he also bartered away plums, that would have rotted in a week, for nuts that would last good for his eating a whole year, he did no injury; he wasted not the common stock; destroyed no part of the portion of goods that belonged to others, so long as nothing perished uselesly in his hands. Again, if he would give his nuts for a piece of metal, pleased with its colour; or exchange his sheep for shells, or wool for a sparkling pebble or a diamond, and keep those by him all his life he invaded not the right of others, he might heap up as much of these durable things as he pleased; the exceeding of the bounds of his just property not lying in the largeness of his possession, but the perishing of any thing uselesly in it. [Sec. 47] And thus came in the use of money, some lasting thing that men might keep without spoiling, and that by mutual consent men would take in exchange for the truly useful, but perishable supports of life." How do you regard the terms money and currency? Your question is very deep. Currency is a medium of exchange. Money is a measure of value. This is the simplest answer I can give you. Of course many people have written entire books on this subject. Please read this post as it begins with definitions of the two. Note that the word "currency" first appeared in 1699, while the word "money" was used at least 400 years earlier. In my post, pay special attention to the section, "Western Perception". It is from Another. That is a great article by Michael Kosares. I don't know if you have read this one yet, but Michael is the author of this post. I assure you that Michael's Thoughts in that article you posted are connected to this intro he wrote many years ago. Still reading the post you linked. Has anyone ever pictured holding wealth as a super mario game? It's like the level with al sorts of platforms moving up and you just have to jump on the right one in order to stay a live and make your way up. Choose the wrong one and it might explode or go down. Choose the right one and it will take you up, but be careful cause it might not last. That's sort of how our markets work I reckon. I've read the post on money. I believe quite some people using ratios in stock trading have already snapped out of the western thinking, don't you think? Glad you read it. Yes, ratio-based technical analysis is similar to the way the far East has grown up learning about value. The difference is that in stock market TA you are judging value against something of like-kind, just like fiat currencies are judged against one another. So it still begs the question that Another asked. In a floating value system, where one thing is judged valuable based on its exchange rate with something similar, can you really know value? Now you can argue that I am doing the same thing if I judge the value of something against gold, right? Because the price of gold floats up and down just like any other commodity or asset, right? But my argument (and Another's) is that gold's value has not been known openly since before anyone who is alive today was even born. This value has been forgotten, especially in the West. You can play the ratio game all the way to the bottom. As Mad pointed out, things don't really float, they just sink at different rates. (Just like Mario Bros. I love Mario. I still have my Super NES. May have to break it out today since you reminded me.) But against what? What determines the surface from which they are sinking? This is the question we must answer if we want to protect our wealth. And this brings us back to your question about currency and money. If money is a measure of value, then it is the surface of the water. We are only then left with the question; what is real money?